What is a Mom Prom? A “Mom Prom” is a massive girls’ night out – a chance for women and mothers 21 and older to get together and dance, eat, drink, talk, laugh, pose for pictures with their friends, relive some of their own glory days and make new memories with friends. It’s also a fun way to support an important cause because a portion of ticket proceeds will be donated to a charity benefiting local women and children. The 2018 charity is the Family Diabetes Camp offered by JDRF. It’s a camp (provided at no charge) to families in Northwest Arkansas who have a child or a parent living with Type 1 Diabetes. Mom Proms are held across the country including cities like Seattle, Raleigh, Wichita, Denver and more. This is the fifth annual Mom Prom for Northwest Arkansas, and the women of nwaMotherlode.com, the biggest women’s website in Northwest Arkansas, are putting it together once again. When and where will the Mom Prom be held? The 2018 Mom Prom will be held June 1, 2018. It will be held at The Chancellor Hotel in downtown Fayetteville, right off the Fayetteville Square. We’ll have the whole second floor to ourselves! If you’re interested in attending the 2018 Mom Prom, be sure to put your name on the list to receive updates from Mom Prom so you’ll be the first to know when tickets go on sale in mid-February. Tickets are likely to sell out again in 2018, so being on the email list is the best way to ensure you won’t miss a chance to get your ticket in time. The Chancellor Hotel has a parking deck right behind the hotel’s main tower. There are also parking spots along East Street and around the Fayetteville Square. Particularly for those who will be having wine or a cocktail at the event, Uber would be the best way to go since you wouldn’t have to worry about parking at all. Who’s coming to Mom Prom? Do I have to be a mother to attend? All women and mothers in Northwest Arkansas will be invited, but leave your men, kids and/or babies at home for the night. (You deserve a night out with friends only!) This is just for women age 21 or older. Local moms’ groups, book clubs, women bloggers, church women’s groups, moms and their adult daughters, and the entire online community of nwaMotherlode.com will know about this fun event. What do people wear to Mom Prom? Great question. 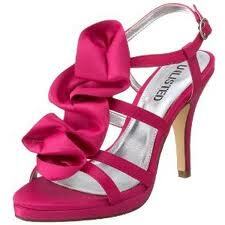 We advise women to wear what they feel good in and want to dance in. Some ladies go all out with a formal prom dress. (We even saw a hoop skirt one year!) Some do a little black dress or cocktail dress. Some do a cute maxi dress they feel great in. And the pregnant mamas who come just wear whatever they like that still fits. We’ve seen it all, and it’s all good. We’re a little biased, but we think the Mom Prom in Northwest Arkansas has the most beautiful ladies anywhere. Please don’t feel like you need to spend a lot of money on a dress. There are some great consignment stores in our area that offer formal wear, including Cari’s Closet in Siloam Springs and the 2nd Date Formal Wear Consignment Event in Rogers. To get more outfit inspiration, check out the Photos page or the Prom Features page, where you’ll see tons of photos of past Mom Proms. That should give you an idea of what most people choose to wear at the event. It’s best to purchase tickets online at this site asap because we’re anticipating they will sell out before Prom Night. If there are any tickets still available, you can purchase one at the door but the at-the-door price will be $50. If I’m coming with a big group of women, do we need to buy tickets together or is it “general admission”? Do I need to print out a ticket receipt and bring it with me? We think it’s a good idea to do that, but you don’t have to. If you purchase tickets online, we’ll have a record of your purchase and a list with all those names at the door. When you arrive, we’ll check you in at the prom entrance. Can’t wait to see you there! What if something comes up after I buy a ticket and I can’t attend the Prom? We really hope that doesn’t happen, but we are mamas and we know that sometimes kids get sick at the least convenient times. So if that happens to you, we’d encourage you to sell or give your ticket to a fellow mom who would be able to attend in your place. Tickets are non-refundable but you can definitely transfer it to someone else. Just send us an email so we’ll know who is using your ticket. Will there be food at Mom Prom? 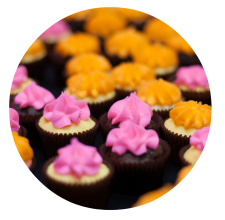 This year we’re offering a beautiful dessert buffet — cake, petit fours, cupcakes, cookies and more from the one-and-only Rick’s Bakery in Fayetteville. We’ll also have fresh fruit on hand. It’s all about the dancing, desserts and drinks this year. So we strongly encourage ladies to eat dinner before you arrive at Mom Prom. There are tons of restaurants near the hotel where Mom Prom will be held. Dancing takes a lot of energy so please plan to eat before you come. Most ladies arrange to go out for a great dinner with friends and then head over to Mom Prom to burn off the calories. How do you choose the NWA Mom Prom Queen? We don’t choose her because lady luck does it for us. EVERYONE who purchases a ticket for the NWA Mom Prom is automatically in the drawing. (We don’t believe in popularity contests around here.) We simply choose a ticket at random and that woman is crowned Prom Queen and gets a pretty fabulous gift to go with her new tiara and sash. If a friend has purchased a ticket for you to attend, make sure you are on our Mom Prom newsletter list so your name will be in the drawing for Prom Queen. What’s up with this Flash Mob thing I’m hearing about? 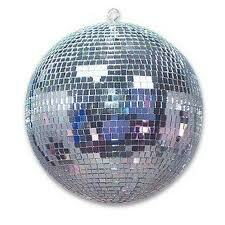 We’ve always had a Flash Mob at every NWA Mom Prom. Our friend and fearless Zumba teacher, Kelsey Lee, makes up the dance for us and does an instructional video so you can learn it before Prom night, if you like. (Or you can just follow along with the moves on Prom night because Kelsey will be there on stage to lead the Flash Mob.) CLICK HERE TO SEE THE 2018 FLASH MOB INSTRUCTIONAL VIDEO. It’s so fun to do a synchronized dance with 300 or more of your fellow mamas! Hope you’ll join us on the dance floor for this year’s Mob! What is there to do at the Mom Prom? Entertainment will be provided by our favorite DJ in the whole world — Frankie Magallanes of Dancenhance Entertainment! He has been the only man allowed into the NWA Mom Prom since it began in 2013. After the first Mom Prom, tons of people asked us to make sure that Frankie was coming back to be the DJ on the next one. He is SO much fun at a party and really keeps the energy and the great songs playing all night. Sometimes he even kicks off a line dance, too. We’re guessing you can tell from this picture (taken at the tropical-themed Mom Prom in 2015) that Frankie knows how to have fun. Gwen Rockwood and Shannon Magsam, founders of nwaMotherlode.com, will be on hand to host the event and announce winners of the raffle prizes. We’ll also be announcing the 2018 Mom Prom Queen! The Mom Prom will begin with arrivals and glam photos on the red carpet. 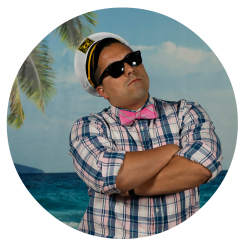 There’ll also be a prom photo backdrop where moms can pose with their friends or with our famous cardboard “prom dates” which will include freestanding life-size cut-outs of famous heartthrobs like Channing Tatum, Ryan Gosling and more. Will I need to bring money to the Mom Prom? It’s a good idea to bring some money along, in case you want to get something from the donation-only bar or buy some extra raffle tickets. We’ll have lots of really cool raffle items and you can put your raffle ticket into the drawing for any of the packages. (Each raffle package is valued at more than $300.) If there’s a raffle package you’d REALLY like to win, you might want to put all your raffle tickets into that drawing alone, or you can spread them out among all the drawings. Each raffle ticket only costs two dollars and remember that proceeds go to support the JDRF Family Diabetes Camp. Desserts are free but please have dinner before you arrive. There will only be petite desserts available and they go quickly once the Prom gets started. How will the Mom Prom be publicized? The Mom Prom will be written about extensively on the most popular women’s website in Northwest Arkansas – nwaMotherlode.com. 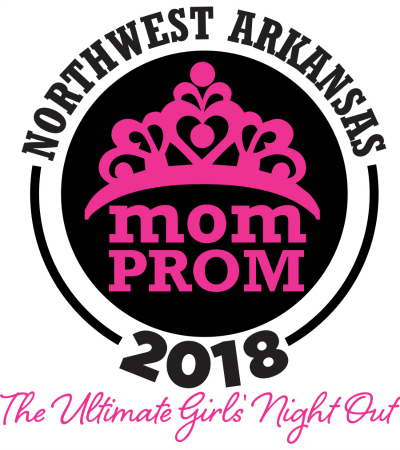 For our previous Mom Prom events, we’ve also received coverage from the Arkansas Democrat Gazette, KNWA news, Citiscapes magazine and Celebrate magazine.We’ll also mention the Mom Prom on our weekday radio segment, Mamas on Magic 107.9, which airs at 7:45 a.m. Mondays through Fridays. The Mom Prom has a media partnership with Magic 107.9 to help promote the event to women and businesses throughout the area. Will local businesses be involved? Absolutely. 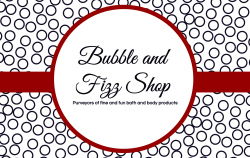 In an effort to contribute as much as possible to the JDRF Family Diabetes Camp, area businesses will have the opportunity to sponsor portions of the Mom Prom and get their brands in front of this powerful consumer group. Please note that this year we are only accepting ONE business per industry, in order to give our sponsors more exclusivity and promotion. 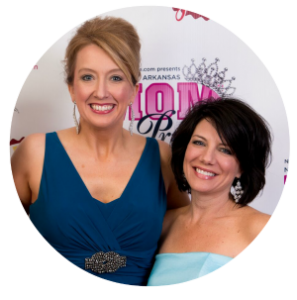 For info on sponsoring Mom Prom, contact event organizers Gwen Rockwood or Shannon Magsam at mamas@nwaMotherlode.com.